We know you’re excited for Xbox One X, and we want to make upgrading from your current Xbox One or Xbox One S as seamless as possible. We’ve introduced new features that make it easier than ever to quickly transfer games, apps, and settings between consoles. Enjoy unlimited access to over one hundred great titles for only $9.99 per month, including exclusives like Halo, Crackdown 3, Forza Horizon 4, Sea of Thieves, and State of Decay 2. With so many games to discover and download, your Xbox experience will never be the same. Where do I get a USB storage device? The Seagate Game Drive for Xbox is offered in multiple storage sizes. Check out the product listing here or visit your local Microsoft Store. 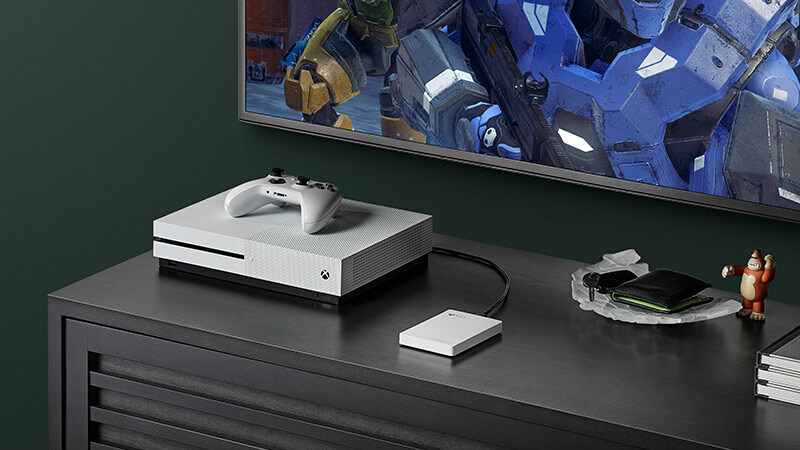 New with the Fall 2017 update, network transfer will let you connect to other Xbox One consoles on your home network and copy games and apps from those consoles, saving you time and internet bandwidth. No. With the fall update, these features will also be available on every console in the Xbox One family. Whether you’re upgrading to Xbox One X, Xbox One S, or just switching consoles, it all just works.